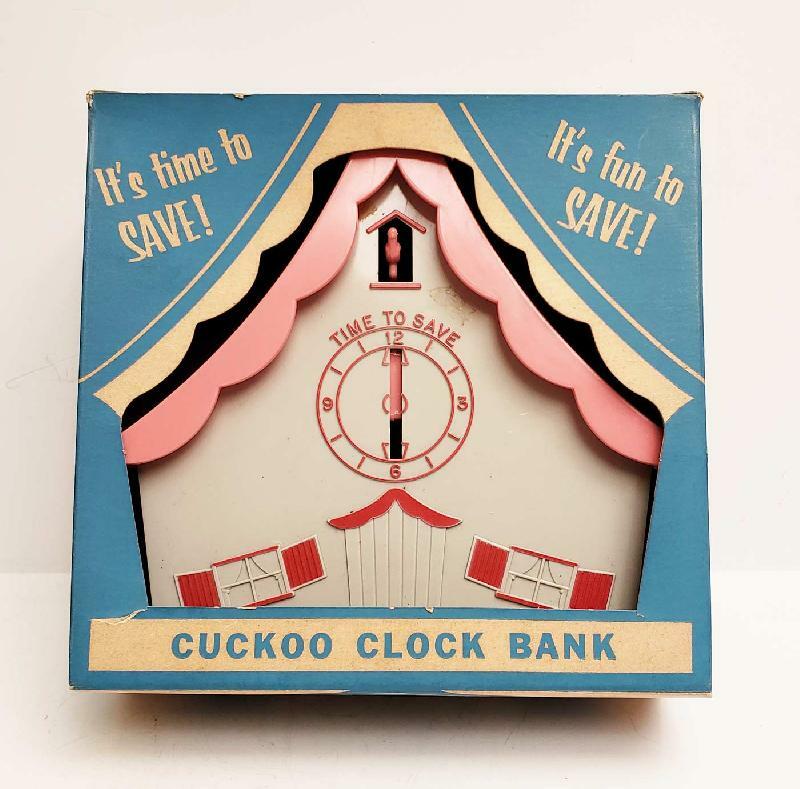 Item: Cuckoo Clock Bank in Original Box. c1940s-50s. 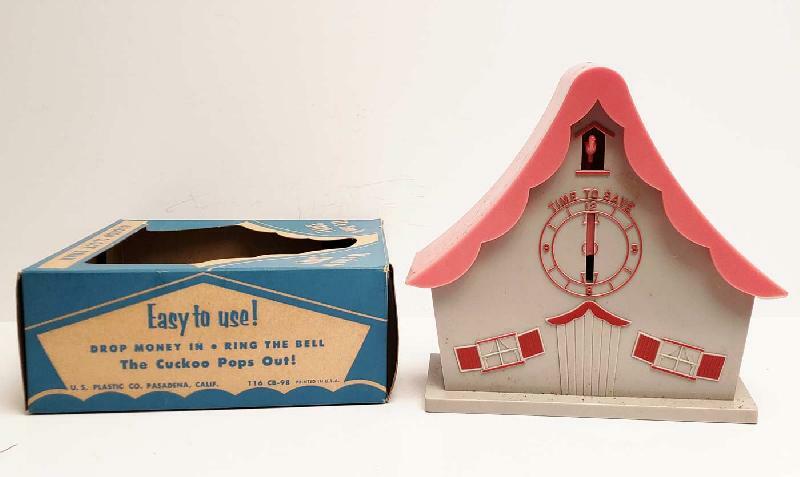 Cuckoo Clock Bank in Original Box. c1940s-50s. U.S. Plastic Co., Pasadena, Calif. Made of plastic with metal bell inside. 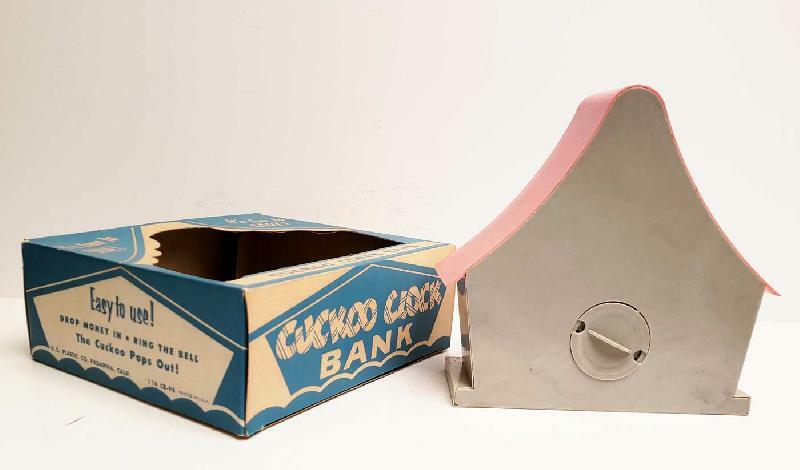 A penny when inserted in clock will cause cuckoo bird to emerge and the coin will fall into bank hitting the metal bell. Appears to have never benn used. Box has 1/2" tear at lower left corner. Condition (Bank-Near Mint, Box-Excellent) Box size: approx. 6-1/4" x 6-1/2" x 2-1/2"